In addition to being a basic calculator, there are buttons to select tier 1 or tier 2 stocks, and also buttons to double the bands for market open and close. The link will introduce you to Apple's TestFlight app which is used to gain access to the beta version of LuldCalc. You'll need an iPhone running iOS 8 or later. Have fun and let me know your thoughts. There was a time when I put a corporate seal on my favorite books. Dr. Stroustrup noticed the embossed seal, ran his fingers over it, and remarked "nice" as he signed my copy. 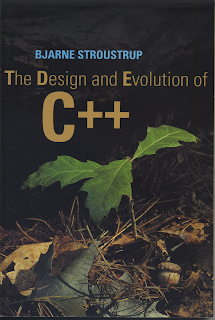 The book was published circa 1994, and Stroustrup was on hand to give a talk to an eager C++ user group. "It is often claimed that the structure of a system reflects the structure of the organization that created it. Within reason, I subscribe to that idea." Back in the monochrome days of PC computing, our choices were green on black, or amber on black. The amber monitors actually cost a bit more because European studies of the day showed amber was easier on the eyes. Apple's Macintosh Computer introduced the black text on white paper look. In emulating paper though, I found my eyes fatiguing more quickly. I expressed to a friend and colleague that it felt like a swath of electrons beaming into my eyes, in which he replied, "okay." To this day, I'm not sure if he was in solid agreement, or patting my head and humoring me. Judge for yourself with the sample color schemes I've created at the end of this post. With macOS Mojave, Apple introduced Dark Mode, which in essence, is a return to the calm and focused energy levels of green, amber, and black. 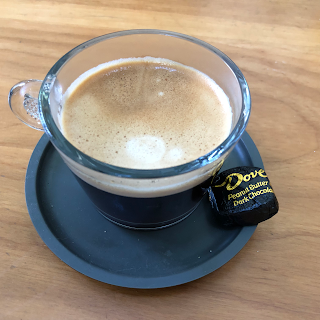 I really like it, but one cannot live on dark chocolate and dark coffee alone. We can switch between Dark Mode and Light Mode via the System Preferences. 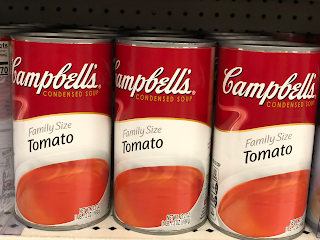 Andy Warhol was right when, in 1968, he said "In the future, everyone will be world-famous for 15 minutes." Now that the future is here, what everyone seems to desire is 15 minutes (or more) of privacy. At least that's what occurred to me when I asked myself what problem Bitcoin, and more specifically, blockchain is trying to solve. Digital currency offers the ability to hide transactions, and is often associated with those who purchase illegal goods or launder money. But digital currency is also used for legal transactions and appeals to those with memories of the 2008 recession; they want to have as little to do as possible with the banks that contributed to it, and that often means using some combination of credit unions, cash, and Bitcoin.